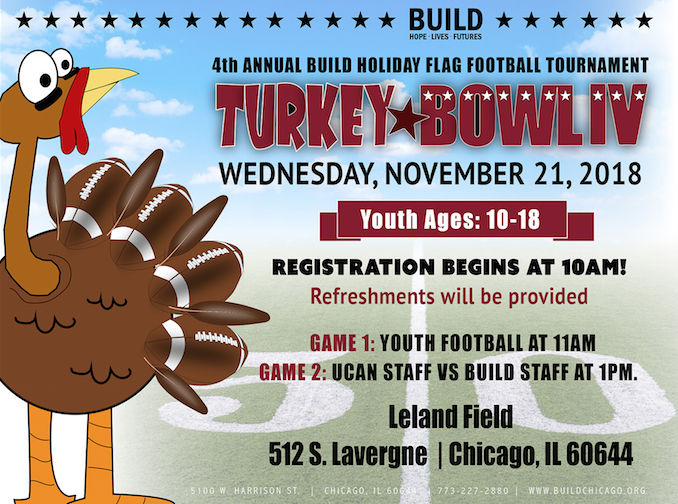 Turkey Bowl III - BUILD, Inc.
Our 4th annual flag football tournament! Join us for a game of flag football! Game is for ages 9 and up. Registration starts at 10am with donuts and coffee. First game kicks off at 11am. Winners take home the trophy! Contact Bradly Johnson at bradlyjohnson@buildchicago.org for more information and questions.